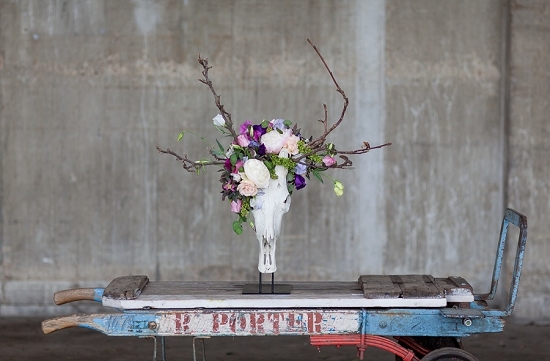 Chikae Okishima-Howlands and Jessica Simmonds, the founders of Okishima & Simmonds, are dismantling the traditional notion of seasonal British flowers and re-imagining them for a new generation. 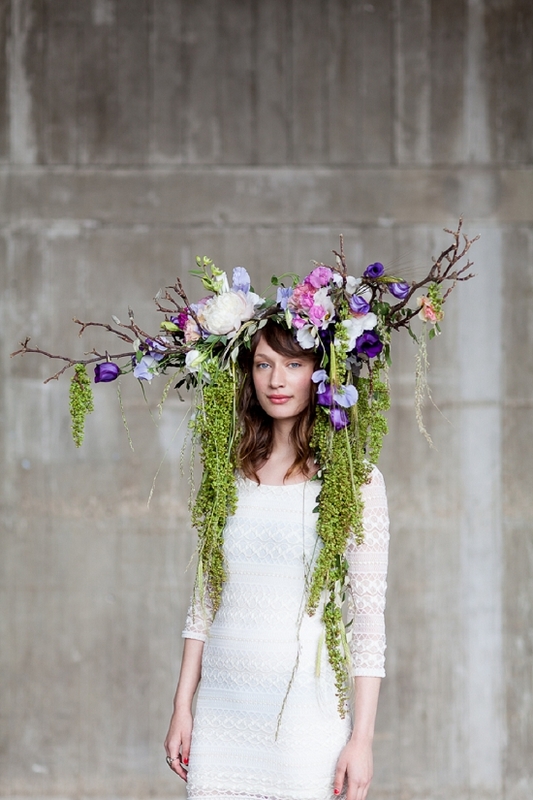 Their background in fine art seems to allow them freedom to imagine beyond rules. 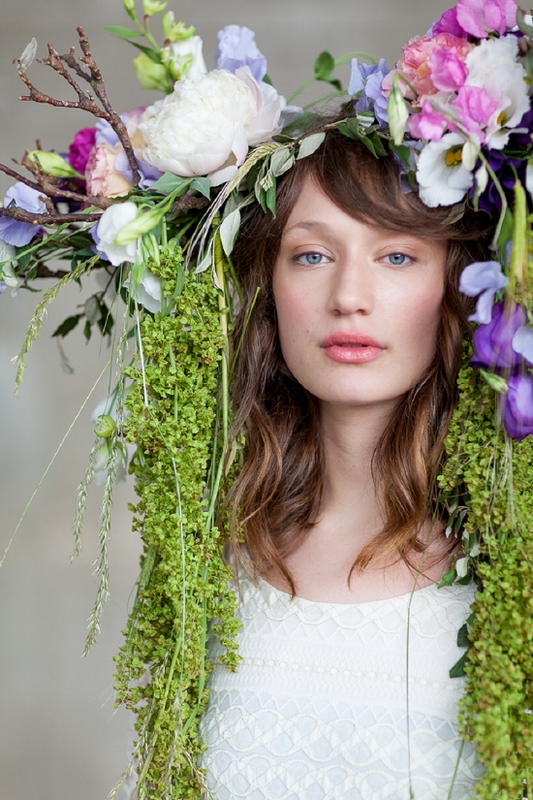 For British Flowers Week, Okishima & Simmonds have re-invented the florist's classic flower: the lisianthus. 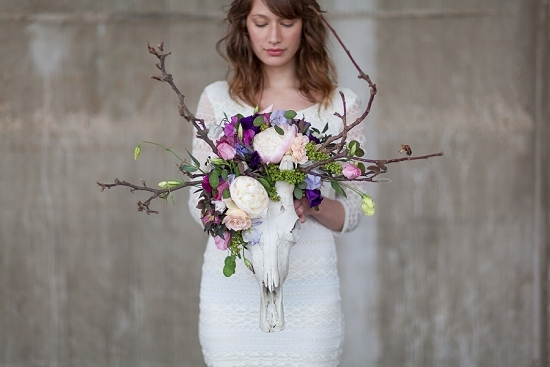 Why lisianthus? 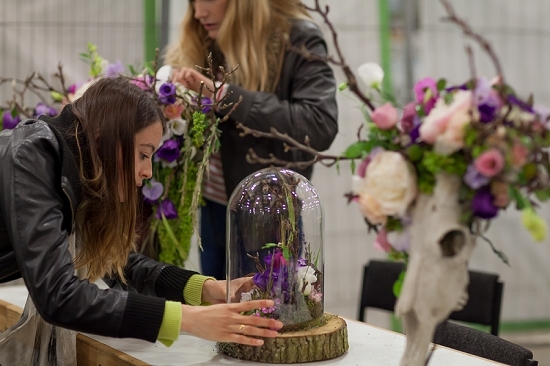 "Lisianthus are so versatile, the colour palette is so broad and they last for such a long time," says Jessica. 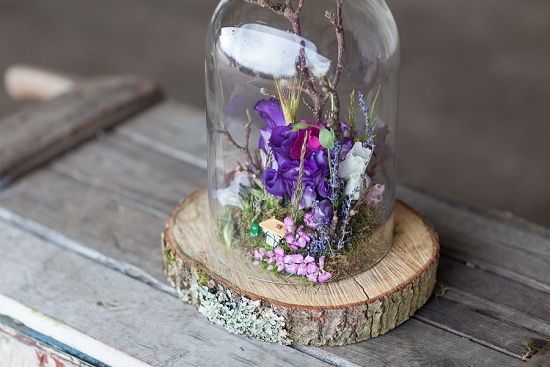 "You can arrange them with anything, wire the flowerheads individually, or use the swirling tight buds on the long stems for movement in a design. 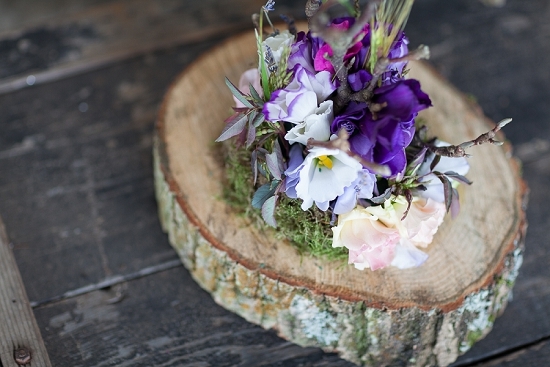 And British lisianthus have longer stems and nicer flowerheads somehow." 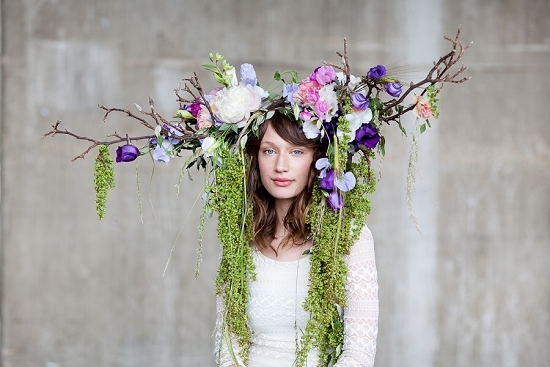 Featured by the Daily Telegraph, this striking headdress is a dramatic combination of lisianthus, peonies, sweet peas, grasses and trailing amaranthus on a framework of magnolia twigs. 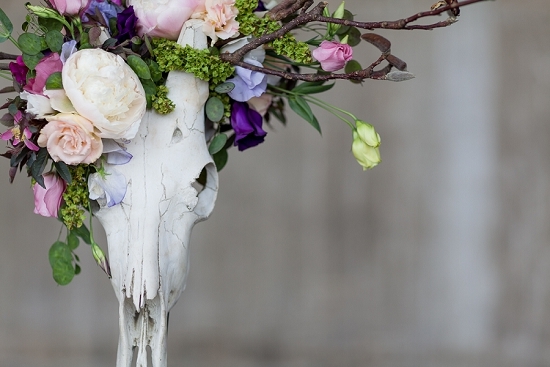 Lisianthus, honesty, amaranthus, rosa mutabils and antler-like magnolia cloak this replica deer-skull from C Best. 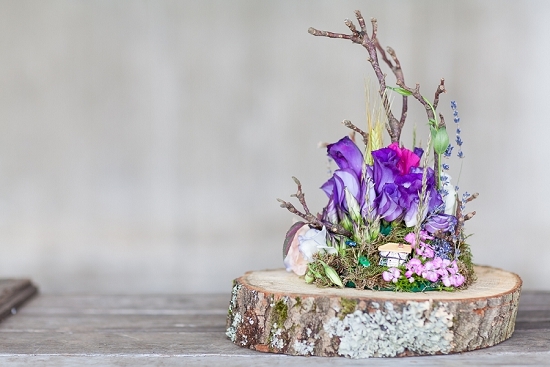 Like a Victorian terrarium, this mini garden of deep purple and apricot lisianthus, magnolia branches on a slab of birch is home to a mini house and even a mini car, if you look carefully.